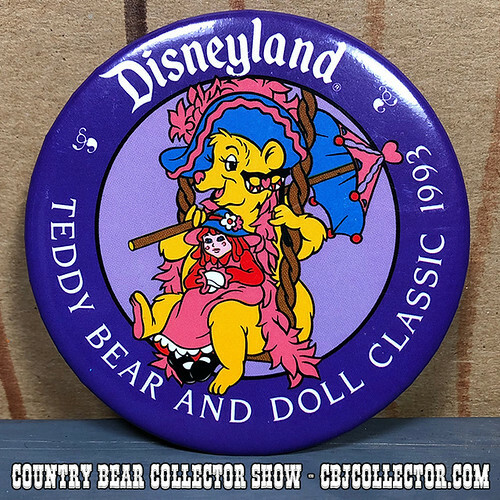 http://www.CBJCollector.com – The, short lived, Disneyland Teddy Bear and Doll Classic produced a lot of merchandise featuring Teddi Barra from the Country Bear Jamboree. This includes this commemorative button. Our host gives it a review and then delivers his patented ‘Paw Ratings.’ Be sure to check out the Country Bear Collector Show Facebook Page over at http://www.facebook.com/CountryBearCollector and let us know your thoughts on this item!